Are you getting Permission denied errors when trying to edit your Google Cloud Platform files via FTP? In this tutorial you will learn how to fix Permission denied errors that occur when trying to save and upload changes to Google Cloud Platform files that you’ve downloaded and edited over FTP. 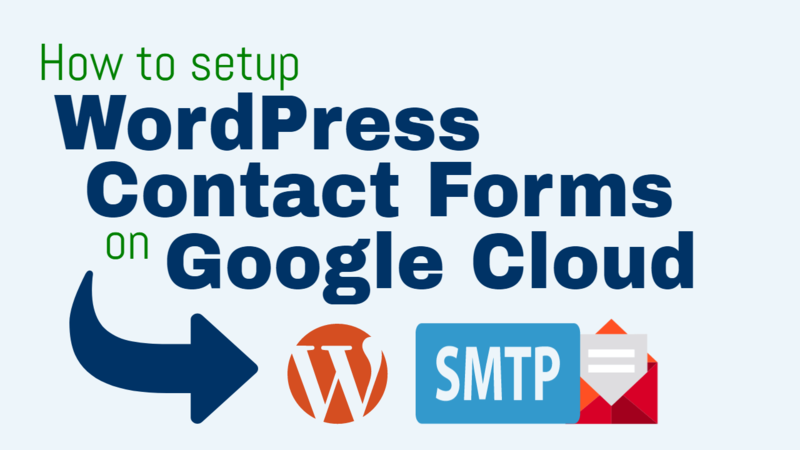 Before starting this tutorial, you should have already configured an FTP client to work with your website on Google Cloud Platform. What is a Permission denied error in FTP, and what does it look like? Permission denied errors occur when you don’t have the required permissions to make changes to a file that you’re trying to edit over FTP. In the image above, the user is attempting to save changes to their website’s wordpress.conf file via FTP. Because the user does not have the required permissions to save changes to the wordpress.conf file, the FTP console is showing Permission denied – File transfer failed. In order to fix the problem, you will need to edit the file’s permissions in Google Cloud Platform. This requires you to connect to your VM instance using the SSH (Linux Shell) terminal. Go to your Google Cloud homepage and click the hamburger menu in the upper left-hand corner. 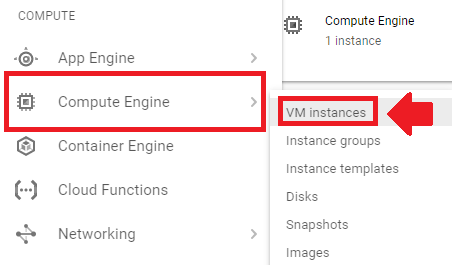 Go to your Compute Engine, then to VM instances to access your VM instance. Click on the SSH button to connect to your website via SSH. Now that you’ve connected to your website via SSH, the first step is to check the permissions of the file you want to edit. In this example, the user would be checking the permissions of the wordpress.conf file. In the image above, the command stat -c "%a %n" /etc/apache2/sites-available/wordpress.conf is used to check the permissions of the wordpress.conf file. As you can see from the image, the file’s permissions are set to 644. Because the file’s permissions are set to 644, you would not have sufficient permissions to edit the file via FTP. To fix this problem, you are going to change the file’s permissions from 644 to 777, thereby granting all permissions. In the image above, the command sudo chmod 777 /etc/apache2/sites-available/wordpress.conf is executed in order to change the permissions of the “wordpress.conf” file from 644 to 777. For changes to take affect, you will need to restart your Apache server. In the image above, the command sudo service apache2 graceful is executed to restart the server in order for file permission changes to take effect. Go back to your FTP Client and try uploading the saved file again. Now that the file has permissions of 777, you will be able to upload it to your server successfully via FTP. In the image above, the edited wordpress.conf file is successfully uploaded to the server via FTP after changing the file’s permissions from 644 to 777. With the use of chmod 777, you should now be able to avoid Permission denied errors when uploading files via FTP. I’m trying to upload the wp-config.php to google cloud via sftp filezilla but when i do this the file uploaded is completely empty in the server. Can someone help me with this? I’ve tried already with other ftp clients (WinSCP) and disabled my firewall but still have the same problem. Check that the permissions of the file are set to the correct level. Check out the ‘Stat’ command from this tutorial for more information. Hi Pguy – did you create the file myfile.txt? The file doesn’t exist by default, and was created to be used as an example. When i trying to create the file , i get the (permission denies). i think my problem it’s on the step one. i can’t get to /ect/apache2/site-available . Keep in mind that this path only exists for the Click-to-deploy version of WordPress on Google Cloud. The Bitnami version has a different file structure, which you can learn more about by checking out the commands in this tutorial. Leron i finally got the solution you need to add this to your tutorial. This is for (CLICK TO DEPLOY) i dont know if it wil also work for Bitnami users. For does who have changed Permisson to 777. and you still get the permission denied error when using ftp here is the simple solution to your problem. Hey Caleb – thanks for sharing this awesome tip! I know many users will find this very helpful. I have done this too, a few days earlier, and now I dont have to change the permissions to 777. This is a much better and safer solution! I could kiss you righ now. haha you are highly welcome i think you should kiss Leron Instead his the master teacher. Thanks for the compliment though. Hi Caleb – are you using Click-to-deply or Bitnami? Hello Leron i am using Click to Deploy i followed the tutorials above but the 777 didnt still work for me after i successful did everything in the instruction i went back to my ftp client try to upload a file again and i was still denied permission. Were you able to get it working? Did you remember to restart Apache server after making the changes? Great tip – thanks for sharing. I’m glad to hear you were able to get it working! First of all I would like to truly thank you for the amazing tutorials. They are clearly written and nothing left out! Its amazing. If not for you I probably wouldn’t have started with GCP. Being that many people are new to SSH and not comfortable with it, can you do a nice tutorial on simple commands showing how to easily use SSH solely as an FTP? I am sure others do not like to change their folder permissions to 777 every time they need to upload something and would really benefit from a tutorial like this. Having a great tutorial, or at least an SSH Cheat sheet for file transfer, would greatly complete all that I am looking for with GCP. Thanks for the feedback – I’m thrilled to hear that the tutorials have been beneficial in helping you get started with GCP. I could do a tutorial on getting started with FTP. I know that many users are uncomfortable with the terminal – and I agree that it can be intimidating. It’s a powerful tool – which also makes it easy to break things if you’re not careful. Thank you for the great suggestion – I know many users will find this information helpful! we need to delete a plugin in my google cloud binami WordPress site but when I connect through ftp they could not delete as per your tutorial apply all solutions but no one success tell me how to delete a plugin because this plugin stop my website and I can’t open wp-admin to change anything. Let me know if you’re using Bitnami or Click-to-deploy and I will provide you with the command to run to access your plugins directory. Here’s another way to accomplish this using www-data group. With this method you don’t have to manually change the permissions for each file and you don’t compromise security by changing all folders to 777. As you say in the video, that’s not good on systems with multiple users. Thanks for the awesome tip Hyjinx! why i din’t go on my root directory and where was my word press .htaccess file . and wp config file does not editable now. Keep in mind that the ‘Click-to-deploy’ and ‘Bitnami’ versions of WordPress on Google Cloud each have completely different directory structures. Thanks for the feedback Benoy – I’m glad the tutorials have been helpful to you! Hope this helps, and let me know if you have any questions! That’s correct – 777 isn’t ideal, especially on systems where you have multiple users accessing your project. The recommended WordPress permissions levels are 640 for files and 750 for folders. I’d also recommend checking out this Digital Ocean thread for more information. I was able to connect and edit files on the server with the help of your video. But when I edit .htaccess file. I am getting a 500 Internal Server error. I was trying add set expiry headers to leverage browser cache. Whenever I add the below code I used to get 500 internal server error. and this is what I see in my error log. Are you using click-to-deploy or Bitnami? file’s permissions set to 777,, still permissions denied error. Please provide details of the commands that you executed in the terminal, including their outputs. I will use this information to help you come up with a solution to the problem. I an not able to find etc/apache2/sites-available/wordpress.conf. In my case no apache2 folder found. So i was change permission for wordpress hdocs folder. Sounds good – I’m glad you were able to get it working! I am stuck. My client had made some change to the site that had gone bad and I was trying to restore the site to an earlier version via All in One WP Migration when there was a connectivity issue and everything stopped and when it came back I was locked out of the site and wp-admin through a 500 error! I logged into filezilla successfully to delete the plugin directory and resolve this for that’s what everyone said, when I try to run “chmod -R 777 /opt/bitnami/apps/wordpress/htdocs/wp-content/plugins” it says “operation not permitted”. I even tried “sudo sudo rm -r ” from another tutorial but it just said directory is protected! How do I get back in? I am completely stuck. Any help is hugely appreciated. Thanks a ton in advance. Thanks, this worked to delete the plugins but now I am getting the error: ‘a2zit.in refused to connect’ for both the site and wp admin! And I have no idea what to do!! Tried clearing cache and all that bit!! Were you able to get the problem resolved? You will have to check your error logs and see what’s going on. What happens when you try to restart Apache? Do you see any error messages? Only the wp-config file uploaded successfully. I tried uploading a wordpress theme and image but they still say permission denied. Please what is the cause? On the command terminal, it shows that the permission is now 777 but still i cannot upload. Did you restart Apache after changing the permission levels? This is a necessary step in order for the changes to take effect. You are marvellous. I am a complete newbie and have been following your tutorials. Really very interesting. The step by step method is really informative. Thank you very much for sharing your knowledge with us. May I recommend a new tutorial covering WordPress multisite installation and management. Great suggestion! That will be one of the next tutorials. Thank you, It works very well. You are my life saver ! Thanks for the feedback – I’m glad the tutorial helped you! Try running stat -c “%a %n” /etc/ then moving up one level at a time. Regarding your second question: change your permalinks in Settings > Permlinks > Post Name. Remove space in between %a %n and try. It worked for me! I am getting permission denied for all files(whichever I try to edit) in the directory. I’m using click to deploy version. This method is to fix for a single file right? Check out step 11 of this tutorial for more information on changing the permissions of files and directories. I have heard of that happening before. And gradually work your way up the file path and see if it works. It’s an unusual problem and I have’t discovered a quick fix or clear explanation. I was worried about GCP. As they do not offer already install cpanel as other server provided offered like hostgator and godaddy. I saw your tutorial and i finally managed my transfer new site to gcp. Its working like charms. I would not be possible without your tutorial. Thank you so much for such detail explain video and this blog site. I have one issue i have installed WordPress bitnami. while making any changes in file or folder i am getting FileZilla permission error. Can i remove this complete by using any commend? Yes, you could completely remove future errors by assigning 777 permissions to all of your website files. However, that is not a recommended practice and will put your website’s security at risk. Should I only change to 777 when uploading files? and in the meantime change back to 644? Yes you should change back the permissions after editing the files. If you need increase the permission level permanently, use the lowest level of permissions required to accomplish the job. I’m glad that you mentioned ” that is not a recommended practice and will put your website’s security at risk.” however I think it was better this article was not not published for this reason since the goal shouldn’t be just solving a problem anyway! Thanks for your useful blog. The purpose of the tutorial is to instruct users on how to change file permissions, not necessarily to advise them on recommended file/directory permissions or security practices. That being said, I understand your point, and will include a notice in the tutorial body that advises users on proper file/directory permissions. Here’s the link for the recommended file permissions for WordPress files and directories (per the WordPress Codex). Thanks for all your amazing tutorials. I have followed many of them already! Is it possible just to use the select File permissions on the wordpress.conf and ‘Change File Attributes’ window and change the numeric value to 777 ? I’ve never tried it but it would probably work. The only issue preventing it would be if root permissions are required to edit the file permissions. I’d like to establish access to the wp-config.php file, because I’m using a plug-in (Code Snippets) to change the php file, and I understand that if I make a mistake with that, I’ll loose access to my site. When I try to find the path to the wp-config file, I get as far as the root folder (where I understand the wp-config file lives), and I get “Directory /root: permission denied”. I’m using Bitnami. Seems like I need to fix the permissions of the folder, rather than just a file. Can you tell me how to proceed? If you’re trying to edit the file through FTP, check out this tutorial on changing the folder permissions. I deleted wp-config.php file and would like to upload it back to the same folder. It shows permission denied. How can I upload the file back ? You can temporarily change the permissions of the folder that you want to upload to to 777 – thereby allowing you to upload the file. Check out this tutorial for instructions on how to check/change permission on files and folders. Joe: Thank you very much for the help. It works. Joe: I changed the permission of /opt/bitnami/apps/wordpress/htdocs/wp-content to 777 and my website crashed. How can I reinstall wordpress on Google cloud without losing all the database that I have saved with all in one migration plug in ? I responded to this question in the support group. If the problem is severe and can’t be fixed, you could simply launch a new WordPress instance on a new virtual machine and then import your All-in-One WP migration file that you saved. Really love your site. If only everyone on the web wrote tutorials like you do!! Followed your tutorial and successfully changed the permissions on that file to 777 but I am still unable to delete it or rename it and my site is still showing the Apache Test Page and my wordpress admin is displaying a 404. Ever come across something like this before? Thanks for the feedback! I am glad to hear that the tutorial has been helpful for you! Regarding your issue – do not delete your index.html file. The reason you are getting the Apache start page is because your server isn’t running properly. First of all, are you running Bitnami or Click-to-Deploy WordPress? Not just this tutorial – all of them! I am running Bitnami WordPress. I installed it and it set it up following your tutorials around 4 months ago and everything was running smoothly until 2 days ago when that Apache page appeared. I’ve restarted the instance, restarted the apache service and still the page displays. I can still connect to the wordpress install via ssh so the files are still there. I’m not really too stressed about fixing it to be honest – it was a site built for a marketing campaign which has finished – but I was planning on spending the holidays transferring all my other sites over to Google Cloud Platform and was wondering if this is a common issue and something that I would need to fix again and again. The error doesn’t mean there is anything “wrong” or “deleted” from your website, it just means your server is temporarily down. There are numerous errors in your various configuration files. You will have to fix the syntax errors in your httpd.conf file, bitnami.conf file, bitnami-apps.prefix.conf file, httpd-prefix.conf file, httpd-app.conf file, and htaccess.conf file in order to get your Apache server to start back up properly. If you are unable to resolve all of the errors, you can restore your site from a snapshot from when it was running properly, or launch a new VM instance and re-import your site. Really appreciate your help – thanks so much. I suppose the only question I have is if you have any idea what would have caused this and if its a common issue? I literally haven’t even logged in to GCP since I installed the site and it was working perfectly until a couple of days ago. I assumed you had made changes to all of these files. Oftentimes it happens that, if you make changes to a single file (such as bitnami.conf) that results in an error, it can cause errors in other files that are dependent on that file’s configuration settings. So, did you make changes to any of those files recently? Even to a single one of them? This could have caused the chain event of errors that you’re seeing right now. No – not a single change. The last time I logged into my GCP account was months ago when I had got everything running smoothly (thanks to this site) and I only noticed the error when I saw zero traffic in my analytics. That is really weird – I am not sure how the error could have occurred. Assuming no one had access to your account, it may have been caused by an application or plugin writing to one of the files; I really don’t know. Please let me know if you find out what caused the problem. Man really nice tutorial congratulations, i already shared to my friends in Brasil !! I only have problem, my SSH conection showing diferent as you can see in this screen https://prnt.sc/hgql90 !! By the way i alredy subscribe on your youtube and website !!! The screenshot from the tutorial shows the .conf file location for a Click-to-Deploy WordPress installation. Now just replace the file path with the one above and it should fix the issue! Thanks very much Leron ! There is a problem with the quotation marks automatically changing in my WordPress theme. Enter the command as I showed you, but make sure that the quotation marks surrounding “%a %n“ are the quotation marks that appear next to the Enter key on your keyboard. You can can just manually move your cursor over them, and then replace them with the quotation marks next to your Enter key. Let me know if this makes sense to you! Copy and paste the command directly from the tutorial page, making sure to change path/to/file to the file or directory that you want to check the permissions of. In your case, the error means that the file or directory path that you entered does not exist. So what you will need to do is to verify the directory path actually exists. You can do this by running the command ls path/to/directory to check if a directory exists, and nano path/to/file to see if the file exists. Thanks you so much for all the good tutorials and info! I follow your tutorial to connect via sftp! .Simple and very well explain!. Im having an issue with “permission denied” when i try to upload a folder on my Magento directory !! any idea why and how to fix it? Thanks for posting a comment. I am glad to hear the tutorials have helped you! This really helped, thanks mate! Quick question, once all edits to files/folders have been made, whats the best permission level to set all the files/folders back to? It would take too long to set each individual file/folder back to their original permission levels. The default permission level is 644.
thats good, but How to delete file ? The same things goes for deleting files. Change the permissions level to 777 then delete the file with sudo rm path/to/file. 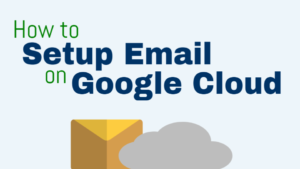 I am going to make a tutorial on using Google Cloud Storage as you described. I will make a tutorial on uploading videos. One way is to upload them to ‘cloud storage’ and then embed them into your site. So just yesterday I added some code to my theme’s functions. Now I’m getting the HTTP ERROR 500. 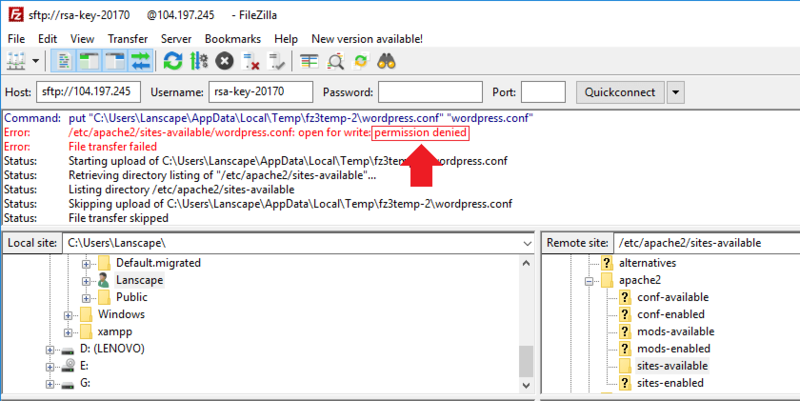 I tried to disable the theme by changing the themes name in FileZilla but I’m getting ”permission denied”. I followed this tutorial but it still says the same thing. Are you getting any errors when you try to restart? If so, what do the errors say? Since the error occurred after working on your theme functions, it could likely be an error with your PHP syntax. You really should not be changing anything in your system to 777 via chmod, that’s just begging to be hacked. I agree with you that temporarily changing a file or directory to 777 is not necessarily a ‘best practice’, but from the research I’ve done I don’t believe it poses a real threat for temporarily editing individual files and sub-directories via FTP, so long as the permissions are reverted to their default levels after necessary changes have been made. That being said, I also agree that changing the permissions of a major directory to chmod 777 is generally considered a bad practice. My determination as to whether or not the use of ‘777’ is appropriate in certain circumstances was considered on an ‘average-user’ basis, taking into account that the majority of developers referencing this site are running WordPress on private virtual machines, usually acting as the sole administrator for their servers. The whole issue of whether or not it is safe to use 777 is contested, with both sides making strong arguments for and against the practice. I am eager to hear your thoughts on the matter, as you seem to be well versed in the field and I could probably learn a thing or two from you! Is there any tutorial explaining how to setup phpmyadmin connection? I just followed bitnami tutorial but never works. Would you help me on this? I have tested out the phpmyadmin connection tutorial from Bitnami and it does work. However, there are a few parts of it that are confusing. I can help you fix the problem if you tell me at which point you got stuck stuck in the tutorial. Following all the steps I get stucked in opening it via browser. Did you watch the video that is posted on the page? That might help you if you haven’t seen it yet. Also what link should be on the Windows browser? I’ve installed XAMPP … no show. I looked over the tutorial, and I noticed that it doesn’t mention anything about having an SSH key pair configured for your instance. For the SSH tunnel tutorial to work, you need to have an SSH key pair that is already configured between your PuTTY terminal and your VM instance. For instructions on how to generate the key pair, take a look at this tutorial. Also, make sure to put ONLY bitnami in the key comment section; this will be your username. Next, look at step 6 of this tutorial, where I paste the contents of an SSH key file into my VM instance settings page. Note that I change the username to Bitnami. In this tutorial, I copy the contents of an SSH key file; in your case, however, you will be able to simply copy and paste the public key text to your VM instance directly from the PuTTY keygen console. Hopefully this makes some sense… at least enough to steer you in the right direction. The Bitnami version of WordPress on Google Cloud uses a bitnami.conf file in place of wordpress.conf. If the file is showing up empty, it means that the file does not already exist and therefor it created a new empty file with the name bitnami.conf. Check the file path to make sure the file exists. You can run ls /opt/bitnami/apache2/conf/bitnami/ to see if a file with the name bitnami.conf exists in that directory. You can also run sudo nano /opt/bitnami/apache2/conf/bitnami/bitnami.conf which will open the file regardless of it’s permission level. This is another way of checking whether or not the file exists in that directory location. Hope this helps, and let me know if you have more questions! I am not sure exactly what the problem is, or the solution. From what I have found, it seems that issue usually surfaces when there is a lack of available disk space, which I would doubt is the issue in your situation given the small size of the file. It may also be a permission error, but I’m not sure, seeing as permission errors usually show a “Permission denied” message. I hope you’re able to find a solution to the problem, and if you do – please share the solution. How do I compare it to the actual MSQL database to make sure the two are in sync? Or do you have any any tips on this…? I will try my best to help you with this issue! 1) Multiple browser tabs/windows of WordPress open at the same time. 2) Multiple WordPress installations in a single database using the same table prefix, as shown in resource 3. These are the only things I can suggest, given that I don’t know much about your WordPress configuration, such as how many WP sites you’re running on your virtual machine. If you’re just running a single site, then resource 3 likely won’t provide the solution. wordpress plugin “you are not allowed to access this page” and it turned up many results. I hope this helps somewhat, hopefully enough to guide you in the right direction! Let me know if you figure out the problem (and what the solution was) or if you have additional questions. You would need to change the permissions of the wp-content/plugins/ folder to 777. However, the best thing to do would be to upload it from the plugins page within your WordPress site. Here is what I had seen, It still show permission denied when try to upload file. It appears that you don’t have a wordpress.conf file – at least not in that location. That will show whether or not a wordpress.conf files exists in that directory. I realized that to fix “permission denied” error on SFTP transfer we need to change the SSH username ( the field from w== xXXXXX) to w== bitnami. And on FileZilla settings use be sure to set the username for that connection to “bitnami” as well. After doing this I was able to transfer and edit wp-config file. I’m not expert on this but I just followed your tutorial in parallel with “bitnami tutorial for GCP. Although using the Bitnami username is not required, I agree with you that it is a best practice when using the Bitnami version of WP on GCloud. Thank you for your help with this (for me) very difficult problem! Much appreciated. Thanks so much for your tutorials, its been really helpful! I am migrating a couple of sites from bluehost to google cloud. I am using the all-in-one wp migration plugin and it works fine. but when i go to update my permalinks, i get the 500 internal error and I am unable to get back into wp-admin. I am using your FTP tutorial to try and modify my .htaccess file and hoping that will fix all my errors. It depends on your Apache configuration. If you’re using the Bitnami stack, the file is located at /opt/bitnami/apps/wordpress/conf/htaccess.conf. Yes, thank you so much. All sites transferred and working great.